Prosecutors say more than 20 people have been arrested on suspicion of fraudulently helping non-EU residents get a Bulgarian passport. The recipients are believed to have paid up to €5,000 for a certificate vouching for their Bulgarian origins. This allowed them to apply for a Bulgarian passport, which, when granted, allows access to any country in the EU. Bulgaria's Prosecutor's Office, in a statement sent to Euronews, confirmed there was an investigation underway into the selling documents for Bulgarian citizenship. It said more than 20 people from the State Agency for Bulgarians Abroad — including its chairman and secretary general — on charges of bribery, malfeasance and documentary offense. The governmental body, tasked with promoting Bulgarian culture and interests abroad, can also issue certificates to foreigners who can prove that at last one of their ancestors was Bulgarian. 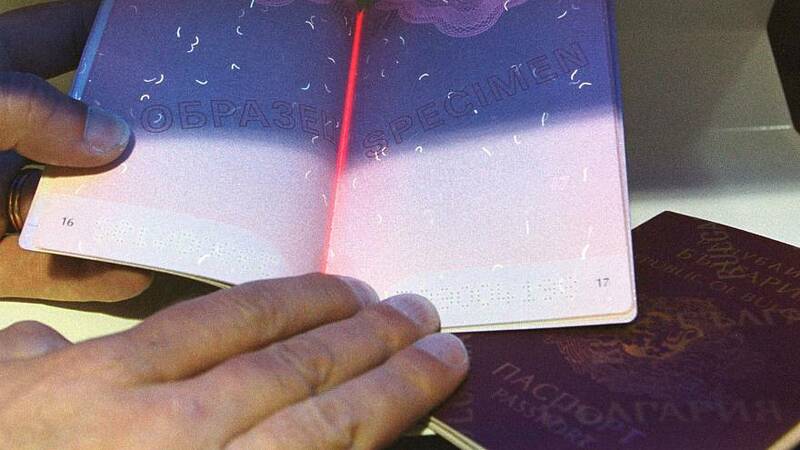 Reports suggest that most of the fraudulent passports were delivered to citizens from neighbouring countries including Moldova, Ukraine and the Former Yugoslav Republic of Macedonia where there are strong Bulgarian communities. The country tightened naturalisation rules in May last year, requiring applicants to prove that at least one of their parent or grandparent is Bulgarian. Prior to that, a simple sworn statement was sufficient. The country grants an average of 10,000 naturalisations every year, most of them on this basis of heredity. According to state radio BNR, between 30 and 40 fraudulent passports are believed to have been granted every week. The broadcaster was however unable to say how long the illegal traffic had been going on for. Multiple jurisdictions around the world allow foreign individuals to obtain citizenship or temporary or permanent residence rights against a flat fee or on the basis of local investments. These "Citizenship by Investment" and "Residence by Investment" schemes — also known as golden passports or visas — are being increasingly condemned for enabling tax evasion and sheltering criminals. Passports from an EU country however, also allow their holders to travel freely anywhere in the 28-country bloc. Several member states offer a "golden passport" scheme including Austria, Cyprus, Greece, Latvia, Lithuania, Malta and Portugal. EU Justice Commissioner Vera Jourova said in August that she was "extremely concerned" about such practices. "Some countries must do more so that citizenship is not awarded to criminals who want to endanger Europe's security or engage in money-laundering," she told Germany's Die Welt newspaper. The EU is expected to release new guidelines before the end of the year after reviewing each member state's practices. Malta and Cyprus are likely to be in EU regulators' crosshair after their schemes were flagged as "potentially high-risk" by the OECD, a Paris-based think-tank, earlier this month. Malta, for instance, grants citizenship to individuals who make a €650,000 contribution to the country's development fund, invest €150,000 in government-approved institutions and commit to a residence on the Mediterranean island for at least five years with the property value needing to be a minimum of €350,000.